The first general course of the year. 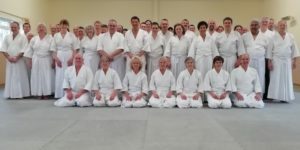 Saturday, 26th: Dan grading at 11:00. Course (open to all) 14:00 to 16:00. Sunday, 27th: Course (open to all) 10:30 to 12:30. Kyu grading at 12:45.